If you have any information about these crimes or any person(s) involved, you are urged to submit a Web Tip by clicking on the Submit a Tip button beside each case, submit a tip using the P3 Tips app or call Midlands Crimestoppers. If you are a law enforcement agency within the Midlands and have an Unsolved Case to display, please contact your Crimestoppers Coordinator. ORANGEBURG, S.C. — Orangeburg police are asking for the public's help to find a woman accused of killing a man in Orangeburg on Sunday. Police say 18-year-old Tyekiva Harvin is charged with murder after she struck 68-year-old Bobby Huggins in the face with a hammer on Sunday. Police say Harvin, who they believe was living with Huggins, struck him in the face with a hammer. After being struck, police say Huggins followed her into the living room area, where an unknown man shot Huggins several times. Both suspects left the scene, but police say they don't know if they are together. Harvin, who is also known to go by "Paris Miller" and "Ty," is described as an 18-year-old black woman with black hair and brown eyes who stands 5-feet, 10-inches tall and weighs around 204 pounds. Police say Harvin may be homeless or with or other people somewhere in the Sumter, Florence or Myrtle Beach areas. Police warn Harvin and any associates with her may be armed. 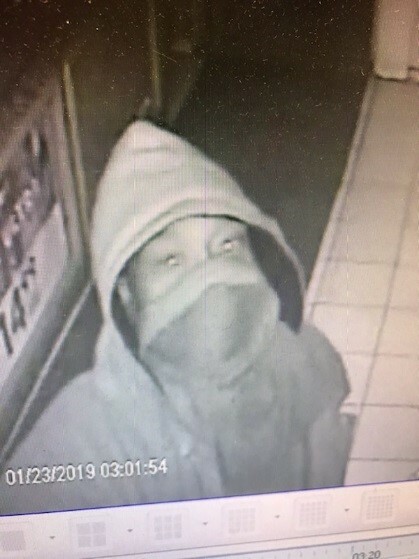 On January 24th, 2019, at approximately 2:16am, a black male entered Grand Central Station, a convenience store located at exit 48 off of I-77 in Fairfield County, presented a handgun, and demanded money from the two (2) clerks. 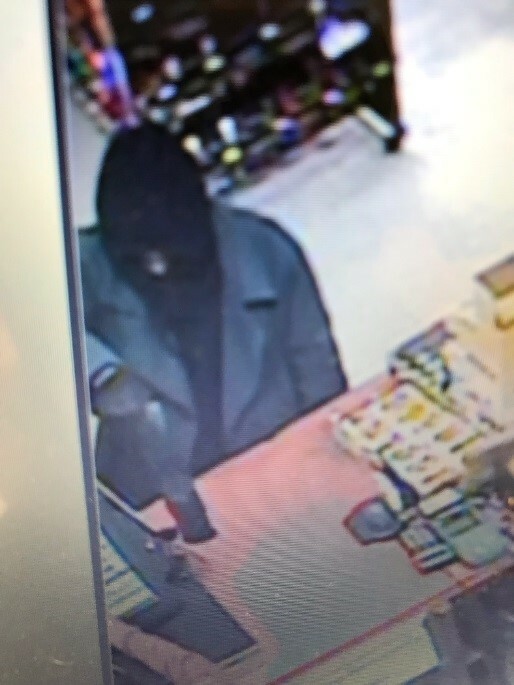 The suspect had short black hair and was wearing grey sweat pants, a black shirt, a dark grey wool type coat, and a black ski-type mask. He had a silver semi-automatic handgun that was covered with a thin black sock. He stated “Give me the money” repeatedly, “I’m not playing” and “Hurry up, hurry up, hurry up.” He left in a silver, or grey, Acura with tinted windows driven by a 2nd suspect. 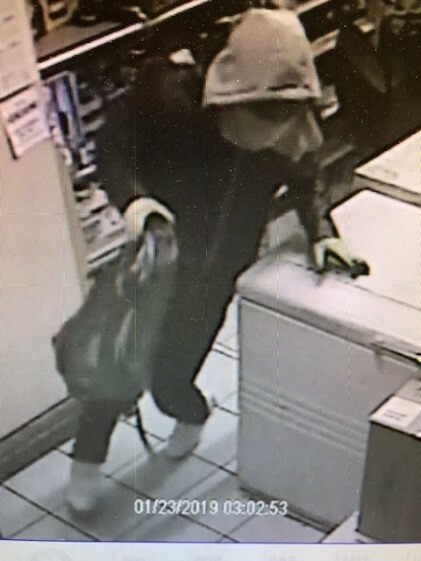 The total cash stolen was approximately $600.00. On January 23rd, 2019, 3 suspects entered the Lebanon Mart convenience store located at 6058 Newberry Road in Fairfield County by using a pry bar to force the front door open. Upon gaining entry, the suspects removed the ATM that was bolted to the floor with a chain attached to their vehicle. They also stole a safe containing two (2) cash register drawers, money, and miscellaneous documents along with approximately 200 packs of Newport cigarettes. The suspects were of medium build and had their faces and hands covered. They were using a dark colored 2002-2006 Chevrolet Suburban. This burglary may also be associated with a burglary that occurred in Union County on the same date. On 11/06/2018, at approximately 9:20 P.M., officers from the Clarendon County Sheriff’s Office was dispatched to 8804 Paxville Highway in reference to a shooting incident. The subject was not seen by the victim and was hit twice in the chest and shoulder. Charles Lee Cummings died as a result of his injuries. At this time, the Clarendon County Sheriff’s Office is currently investigating the incident and the subject remains at large. This is not a random act of violence. This incident was an isolated incident. On 11/06/2018, at approximately 9:20 P.M., officers from the Clarendon County Sheriff’s Office was dispatched to 8804 Paxville Highway in reference to a shooting incident. The subject was not seen by the victim and was hit twice in the chest and shoulder. Charles Lee Cummings died as a result of his injuries. At this time, the Clarendon County Sheriff’s Office is currently investigating the incident and the subject remains at large. This is not a random act of violence. This incident was an isolated incident. 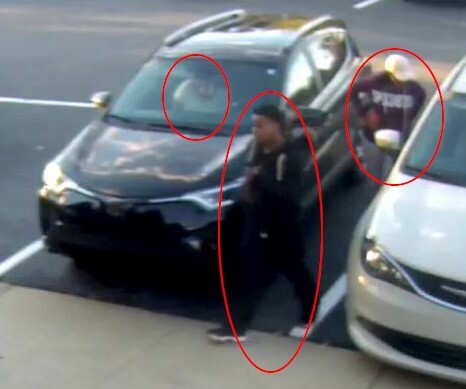 The Lexington Medical Center Department of Public Safety and Midlands Crime Stoppers need your help identifying at least three suspects involved with breaking into vehicles and stealing items. On October 27, 2018 at approximately 6:00 p.m., several suspects were captured on video surveillance breaking into two vehicles located in the parking lot of the Irmo Urgent Care located at 6745 St Andrews Rd, Irmo, SC. The suspects could be seen using a window punch to gain entry into the vehicles. The suspects were riding in a small sized dark colored SUV that appears to be a black Toyota RAV4. If you know something about this case or believe you can identify the suspects captured on video surveillance, please contact Midlands Crime Stoppers. On Sunday, October 28, 2018, at approximately 9 p.m. Richland County deputies responded to shots fired call at the 400 block of Deerwood Street. Upon arrival, deputies observed a 17-year-old, later identified as Robert Cody Presher, who had been shot in the upper body. He was pronounced dead at the scene. $2,000 Reward for any information that leads to the arrest of the suspect(s) involved with this robbery. Richland County deputies are searching for a man they believe robbed a Bush River Road bank, according to a sheriff’s department statement. A man walked in to the Palmetto Citizens Federal Credit Union at about 1:40 p.m. Wednesday and handed an employee a note, according to the statement. The note told the teller to hand over money, according to the statement. The employee handed over the cash, and the man left. Deputies believe man was armed, according to the statement. In the evening of Monday, September 10, 2018, deputies noticed a truck parked at 1000 block of Prescott Road. When deputies went to investigate the truck parked at the location, they observed a man inside the vehicle, identified as Edgar Hernandez, shot in the upper body. Hernandez was pronounced dead at the scene. On Saturday, November 18, 2017 at 7:30pm Richland County Sheriff’s Deputies responded to the 7000 block of Mountainbrook Drive. Concerned citizens saw the man lying in the roadway and called 911. The victim identified as Beethoven Romain (DOB: 12/15/1988) had a gunshot wound to the upper body; he was transported by EMS to Palmetto Health Richland where he was pronounced dead. Richland County Coroner Gary Watts stated that Romain died as a result of a gunshot wound to the torso. 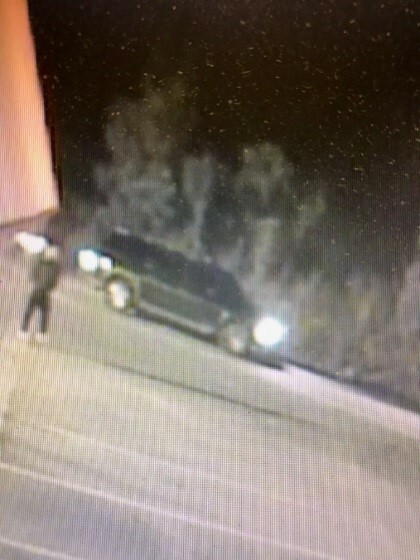 Richland County Sheriff’s Department investigators are searching for the suspect(s) involved, the victim’s black 2011 Chevy Malibu LS 4-door car was missing (a sample image of the vehicle is attached to this release). The Sheriff is asking for assistance, anyone with information about this incident or the identification of the suspect(s) should contact Midlands Crime Stoppers. On Sept. 3, 2007 at 1:00 am the victim LaKavis Henicks age 13 was shot to death in the parking lot of the Gaz-Bah at 6201 Farrow Rd. There was a fight among a group of teenagers and several shots were fired. The victim was not the intended target. The murder is being investigated by the Columbia Police Department.